Clients and Hairstylists using Framesi Hair Color have discovered beautiful color that leaves hair feeling naturally soft and beautifully manageable. Simply the best for your hair – Framesi is color, but it’s more than color too. 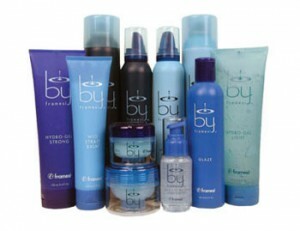 The professional line of hair care products were designed specifically for colored and chemically treated hair. By remaining a professional salon line, Framesi aims to grow its clients with a global perspective. Framesi hair products are known for their quality and high performance, always respecting the integral structure of the hair. Each product is part of a comprehensive approach which restores hair and skin to their physiological equilibrium after heat treatment. Behind each specialty Framesi product are carefully balanced, innovative formulations and raw materials. Framesi is inspired by Italian style, fashion and energy. With Framesi hair products the hairdresser has an instrument ready for use, up to date and easy for reproducing fashionable hair and solutions to each customer, that always has space for personalization.